A new challenge as been released today on Global Design Project. 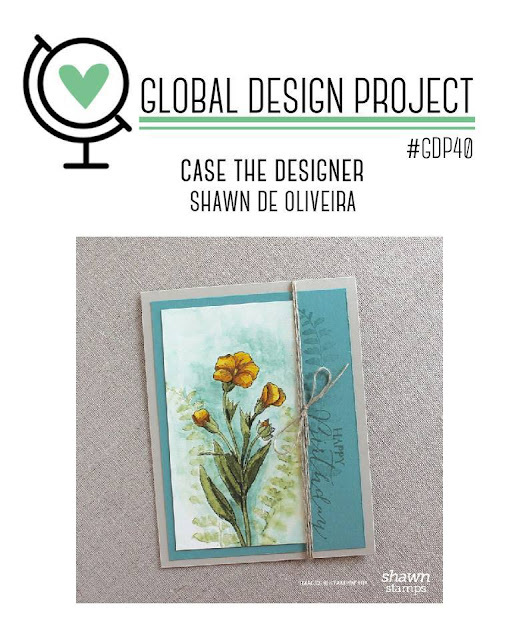 We are casing Shawn de Oliveira a very talented American Stampin' Up! Demonstrator. He is pure creativity, his cards are amazing have a look at his blog here. 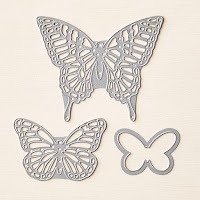 I have used Butterfly Basics stamp set and Butterflies Thinlits dies to make my entry today . I hope you like it! I though the flower is so pretty and perfect for water coloring so I tried it in different colours and different ways and I decided to stamp it several times and use a yellow ink, just like Shawn did but only in the center of the flowers, I used peekaboo Peach for shadowing. 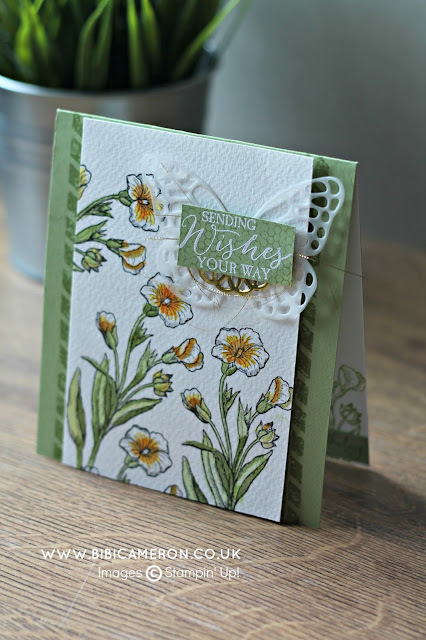 I tried different green inks to add colour to the foliage and I choose Pear Pizzazz for being a perfect match. Subtle and delicate. This is my first green card ever. Click HERE to join the challenge this week or to have a look at what everybody has made! 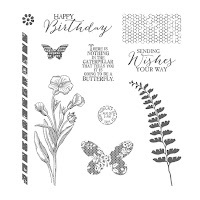 I stamped the flowers with Stazon black ink as I did want to get a well defined image and fine lines at the edges ( Other inks are thicker and juicy so they produce a bold image as I wanted the petals tobe really delicated Stazon was the right ink choice). I applied inks using aqua painters. I didn't apply ink in some areas in the petals as I wanted white petals. 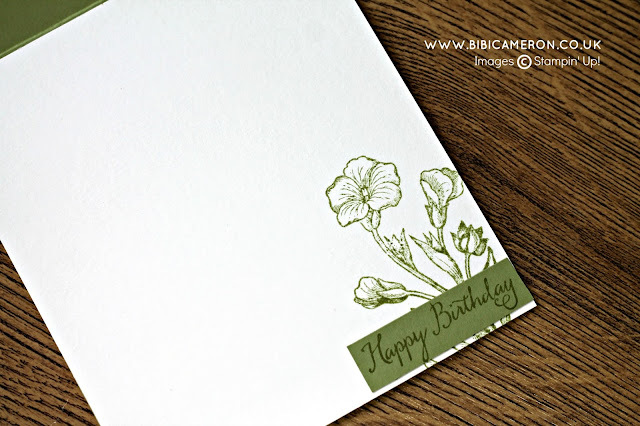 To make the banner I stamped the honeycomb image in the stamp set with Pear Pizzazz ink on Pear Pizzazz card stock, then I stamped the sentiment with clear Versamark ink, I applied White Stampin' Emboss Power and I heat it up with the Stampin Up Heat tool. 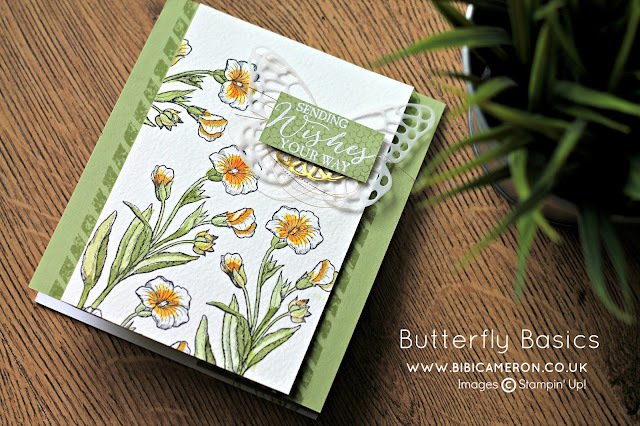 I overlay the banner on a butterfly made out of vellum using Butterflies Thilits from Stampin' Up! I embellish with a flicked ribbon and metallic paper doilie. Paper: watercolor paper, Pear Pizzazz card stock, whisper white card stock, vellum. Coloring tools and Inks: clear Versamark ink, Jet Black Stazon, Crushed Curry, Peekaboo Peach, pear pizzazz, white stampin' emboss powder. Embellishments: 1/8 gold ribbon, gold metallic doilies. Tools: Stampin Trimmer, aqua painters, heat tool. Hi Bibi, I like your card very much. To color the flower and leave the edges white, wonderfull. The idea to put the sentiment ON the butterfly, great. I'll have to try this out myself. Thank you for your inspiration. Hi lovely, I'm glad you like my card. Your comment put a smile on my face at the end of a frenzy journey. 1 am and I'm not near to be able to go yo bed . :) thanks. Bibi, this card is beautiful. I absolutely love everything about it! Hugs! Wow...this us one of my favorite stamp sets and this card makes it even more special to me. What an outstanding job Bibi, thank you! Thus is truly a beautiful card. So honored to be CASEd by you. Thanks, Bibi. Beautiful card! Love everything about it. Gonna have to CASE it. I'll change the colors so it's not a total copy. 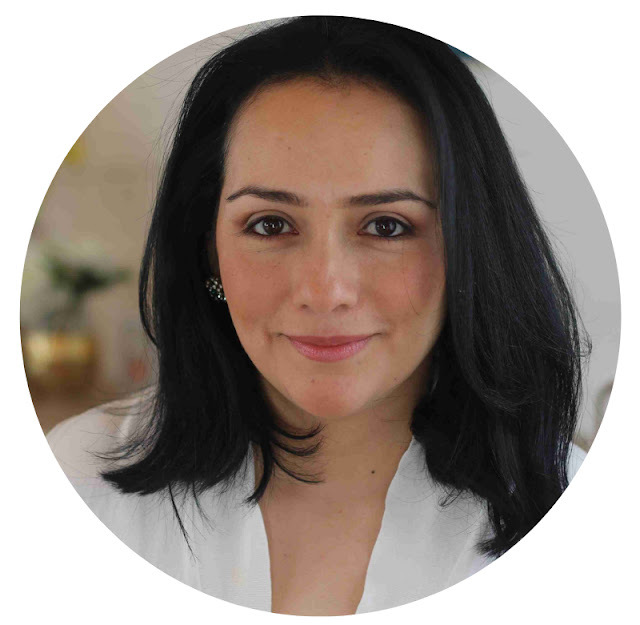 Will reference your blog. TFS!